I am drawn to shape and colour - values in the creation of abstraction. I paint intuitively and hopefully stop short of showing the viewer the whole story. My hope is to start them on a journey of their own imagination. 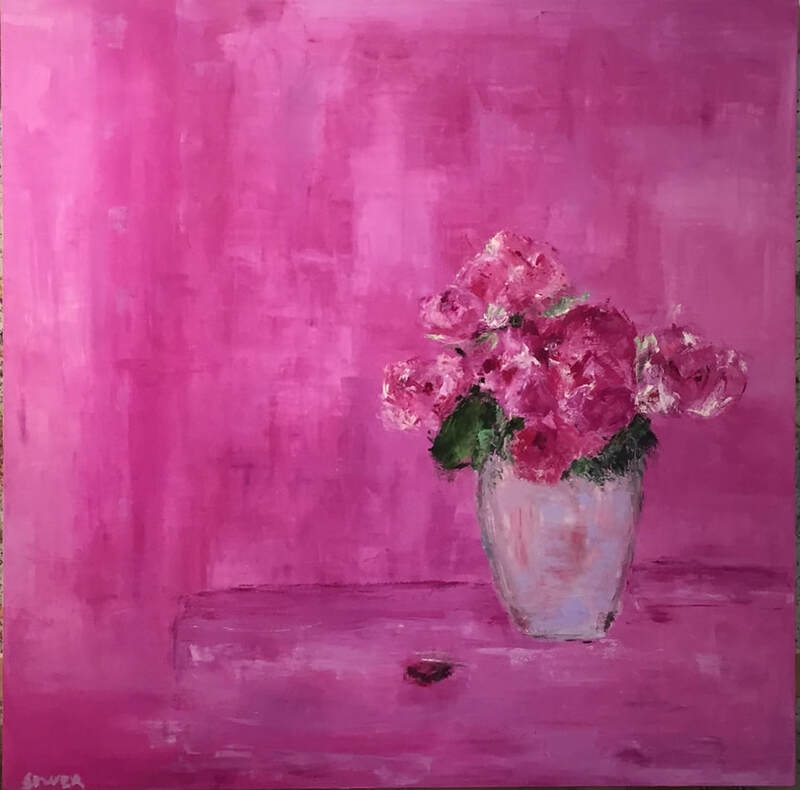 Claire Sower is an expressionist painter known for her stylized landscapes and florals. Inspired by her artist father, Claire began painting professionally in 2009 and had her first solo exhibition in 2013. She has since exhibited in New York, Toronto and Vancouver, and her work has been featured on the cover of a national arts and culture magazine. She has received commissions from Burt’s Bees and Wiley Press USA, and has work licensed in the USA. ​After a successful career as an international medical journalist, Claire decided to follow her heart and studied painting at Emily Carr University of Art + Design, and with various artists independently. She is a juried member of the Canadian Federation of Artists.